Buyer could not perform, back on market. Hands down the best mountain views and secluded location that gives the utmost privacy in all of Mountain Cove. This remodeled condo is being sold fully furnished on Fee land. Great value for being the owners were able to buy out the lease land. 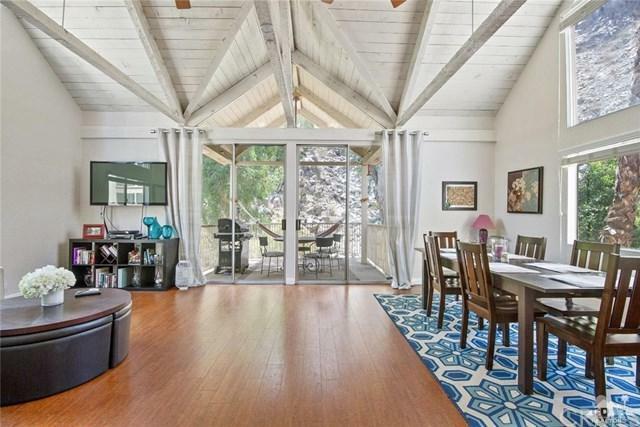 The light and bright main living room features vaulted ceilings and looks out to mature trees and mountain views. The outdoor balcony gives you panoramic mountain views. New cork floors and sub floors. All new HVAC system just installed in the last year. Indian Wells residents enjoy the free use of the fitness center at the Hyatt Regency Indian Wells Resort & Spa, 20% discounts on meals at all Indian Wells resorts, 20% discounts on select spa services, discounted golf, and free tennis tickets to the BNP Paribas Open Tennis Tournament. Great Rental history as well for investors. Sold by Bryan Wynwood of Joshua Tree Modern.